The supplier payments for June have just been published. This month the big winners are Capita who billed £10.7 million on the CSG and Re contracts. Comensura billed £1.45 million and looks like we will hit £19 million over the full financial year. For some reason NSL who administer parking and litter enforcement billed £1.77 million in June which seems excessively high. 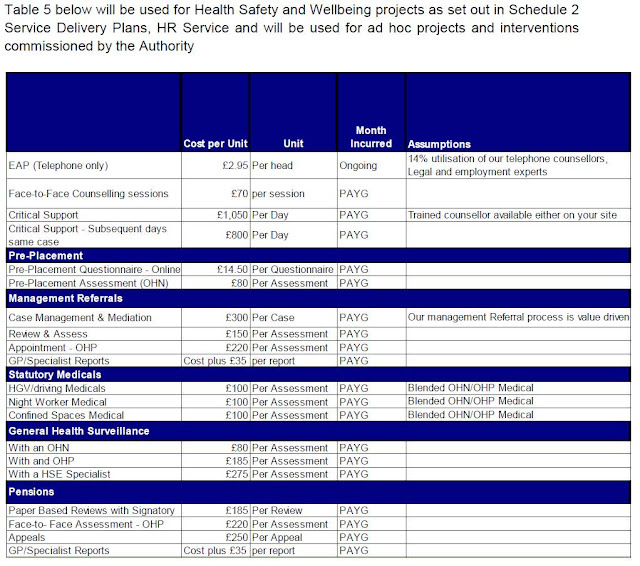 PA Consulting also billed another £134,917 this month, on top of the £685,804 they bill last month. One of the invoices this month was for "Supp People Recharge". I wonder what this is for but as it was billed to adults and communities I wonder if has anything to do with the failed implementation by Capita of the Mosaic case management system that we heard about earlier this month. I shall be asking a few follow up questions I think. I also wonder what we paid OCS Group £110,161 in June, bringing the first three months billings to £278,541 given that we already have a cleaning contractor, Churchill Contract Services. The payments to John Graham is for the construction of the two new leisure centres and the Conway Aecom is for highways work. The latest payments to Capita on the CSG and Re contracts bring the running total to £350.8 million. I still cannot see where the mystical savings are being generated. As for the Comensura contract, the current forecast for this financial year is £19.1 million, some £1.2 million higher than last year, at a time when there are supposed to be cuts to interim and agency costs so as to avoid another massive financial overspend. We were due to have an update of the council's financial performance on 18 September (which was too late in my opinion) but that meeting has now been postponed another three weeks till 9 October. My very real fear is that by the time we reach October everyone will be throwing their hands up in horror at the overspend but by then it will be too late to do anything about it. 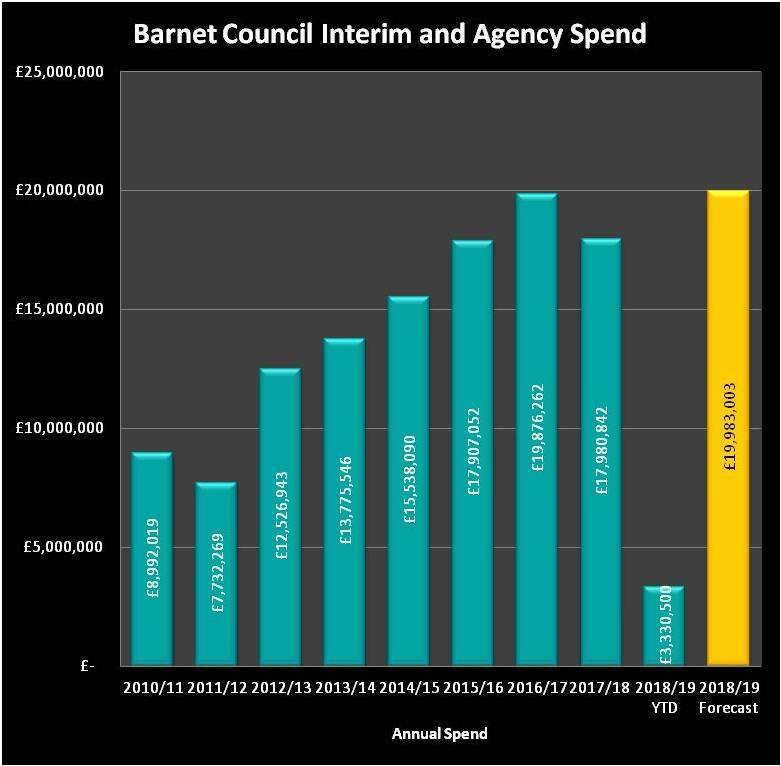 As always I will continue to keep a close eye on Barnet's spending. Tonight Barnet are going to be making decisions on which services will be brought back in house and which will be retained by Capita. Casting my mind back to 5 years ago when decisions were being made on the Re Contract I remembered some of those meetings. Luckily for us the late, and very sadly missed, Dan Hope videoed most of the meetings. As the Barnet Bugle, he has provided us with an archive of evidence from those meetings which you can view here. Whilst Dan and I had very different political outlooks we shared one vital, common interest which was about openness and transparency in Barnet. Thanks to Dan we have a record of so many meetings. I thought I would dig out one clip when the Council was discussing the award of the Re contract and ask Richard Cornelius to consider whether ignoring the views of residents was such a good idea and to suggest that this time maybe he should listen a but harder. One other thing to note was that 5 years ago we were given 5 minutes to speak. Thanks to austerity, democracy has also had to suffer cuts so we now only get 3 minutes. I will make sure my 3 minutes tonight count. Over the past few days I have been looking at the gainshare payments. Today I am looking at the extra charges Capita have billed on the Barnet contract. The first example is a bill for £128,000 for additional electronic data storage. 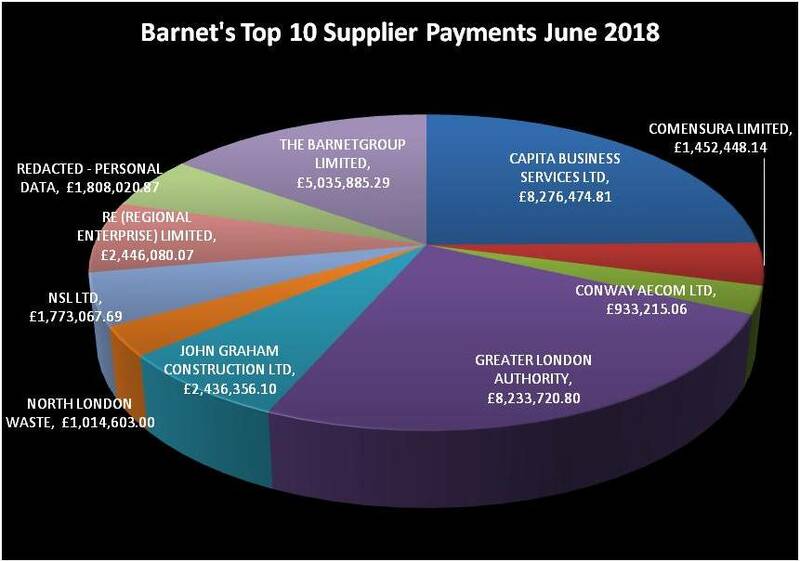 Barnet agreed to pay this amount, set by Capita, "because the electronic storage levels are above the amount agreed in the contract". Now I may be wrong but that sound a great deal given that it is on top of an agreed level in the contract. 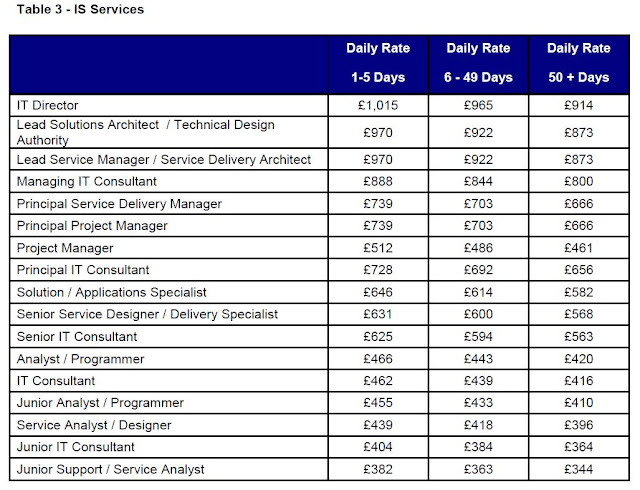 I would welcome input from any IT experts out there but my own bit of digging suggests that is quite a lot. 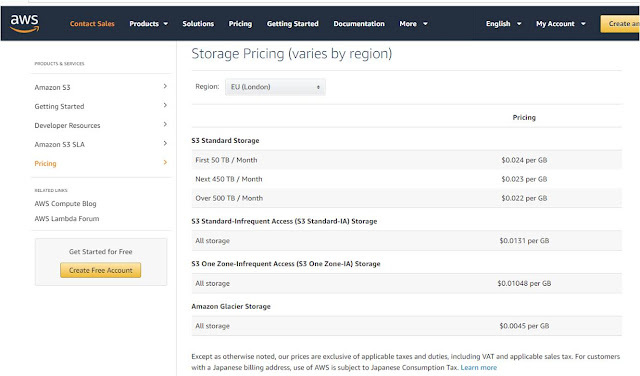 While I am no fan of Amazon whatsoever I know that their Amazon Web Services (AWS) is a huge and profitable part of their business. I took a look at some of the data rates for storage, both simple data storage and a more flexible file management system and the rates are below. 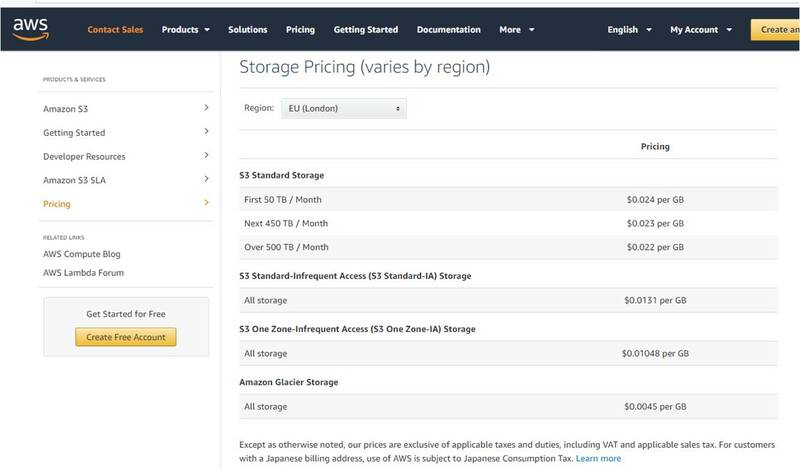 Now the reason I looked at AWS rates is because that is who Capita are using to store some of Barnet's data on the OpenBarnet data portal. It may be that we are using a huge amount of data storage but remember this is in addition to the storage levels agreed in the contract. That says to me that somebody either horribly underestimated how much data we would be using in the contract or we are being ripped off. Either way we are paying through the nose for it. The second example is a bill for £247,000 for additional call volumes above the baseline figure. Now when the contract was signed everybody talked about 'channel shift', getting people to use on-line means of contacting the council such as webforms rather than by phone as this would save money. It may be that the council set over-ambitious targets for the decline in phone calls but then wasn't Capita responsible for implementing 'channel shift'? 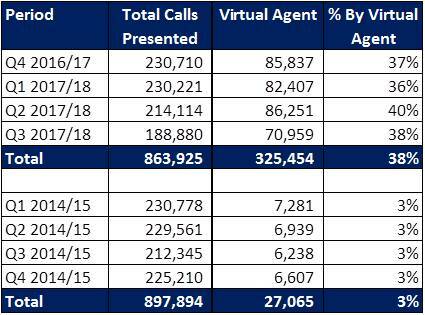 To help channel shift along and to cut costs, Capita have introduced something called the 'Virtual Agent' which is the automated telephone service that I am sure many residents have experienced. Because it is automated it shouldn't cost more to run (in terms of additional call centre staff). However, my experience of the automated system is that because it is very difficult to get put through to the right department first time, you end up ringing in multiple times. However, what I did was look at the performance stats published by Barnet comparing the most recent data with the year 2014/15. Barnet haven't published telephony data for Q4 of 2017/18 yet, so I used Q4 2016/17 to give a complete year of four consecutive quarters. 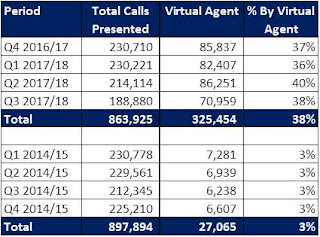 So how come Capita want an extra £247,000 for providing a service where call volumes are pretty static but they have reduced the calls answered by an operator by more than a third, saving a fortune in call centre staff . I simply don't see how this charge can be justified. The third example relates to a bill for £692,759 for dilapidations to North London Business Park Building 4 (NLBP4). Originally the plan was to employ Capita who would use their offices in Coventry, Belfast, Blackburn, Darlington and so on, to house services and we could then trigger the break clause to vacate NLBP4 in late 2015. A good idea in theory but one that didn't happen. LBB staff were moved out and consolidated into Barnet House and NLBP2 but the Capita staff remain located in NLBP4. My thought was, no problem but Capita must be footing the bill. Well actually no they aren't, we are and hence we have been stung with a bill for dilapidations on NLBP4 for nearly £700k. These three examples alone amount to more than £1 million being paid to Capita which could have been used to provide vital services such as 40+ care staff or refuse/street cleaning staff. I know where I would prefer that money to go. The Conservatives keep saying how much outsourcing is saving but the evidence is clear that while we are making savings on the core contract, all the extras, all the gainshare, all those special projects at consultancy rates mean that by my reckoning we aren't saving anything especially when you include the millions of pounds making so many council staff redundant, the huge investment we funded in IT and the £11 million of consultants and lawyers fees to get us to a signed contract. Tomorrow, Councillors will be looking at which services to bring back in house. Unless they have all the information about all these extras, how can they make a properly considered decision? Sadly I suspect the decision has already been made and any opposition will simply be out voted. Why Capita's Gainshare is Such a Rip Off - Day Three - who made the saving? 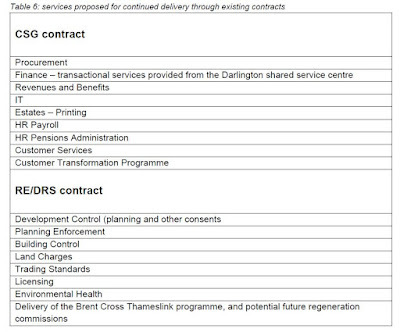 For the last couple of days I have set out details of gainshare payments on the Capita contract in Barnet. There are numerous payments and I have just picked out a selection. Today I have included a couple of other examples where the issue relates to who generated the saving and was any value added to warrant a gainshare payment. The first is an example of where it looks like all the benefit was generated by a Barnet Council officer yet Capita are still able to claim the gainshare. Up till 2012 (pre Capita) Barnet were full members of the not for profit London Housing Consortium (LHC) set up to provide "effective procurement solutions for local authorities, housing associations, schools and other public sector bodies". In 2015 it was decided that Barnet should rejoin the LHC as an associate member; you don't get as big a share of any rebates but there is no liability for any losses nor is their a membership fee. At the time Barnet were about to embark on two construction projects, Monkfrith School and the refurbishment of Barnet House with a value of £5.3 million. The report was submitted as a delegated powers report and signed off by the Council's Commercial Director, not a Capita employee. The rebates from LHC are small as a percentage but when you are dealing with large projects it all mounts up. As a result of our membership Barnet received a rebate from LHC of £47,797.32. Not a fortune but that is enough to fund two care staff. Problem is Capita say they are entitled to a gainshare so we end up handing back 31% or £14,817.17. The second is where Barnet's bank withdrew from the local authority market so there had to be a new contract. The new contract was less expensive so yes there is a saving. However the paperwork states clearly that "procurement support has been delivered from within the LBB Core Team". Now we pay for the core procurement service in the core contract payment. Nevertheless Capita say this is a gainshare so Barnet pay them £35,381.25 - enough for a social worker. The third example is focused around the assumption that costs always rise. Barnet tendered their interpreter and translation service. Assumptions were made about volumes and by looking at historic prices. When the current bids came in lower than the historic prices, charged Capita claimed a gainshare of £22,155.91. What I was also aware of was that there has been a lot of downward pressure on translator and interpreter pricing. I have used translations services in the past and have been told that prices are at best static and in many cases falling, obviously depending on skill level and language. The problem with the Capita contract is that if market prices fall, Capita see the benefit in additional gainshare. Tomorrow I will be looking at the "extras", additional charges made by Capita which in my opinion are excessive. Yesterday I blogged about three gainshare payments which you can read here. Today I have three more examples of why the idea of gainshare seems at odds with the principles of public money being used for public service. (Just in case anyone isn't aware, "Gainshare" is a contractual mechanism by which Capita is entitled to a share in savings they make for Barnet). In 2016/17 we paid a gainshare on the Comensura contract of approximately £1.3 million. Last year there was a big push to reduce the number of interim and agency staff as can be seen in the chart above. 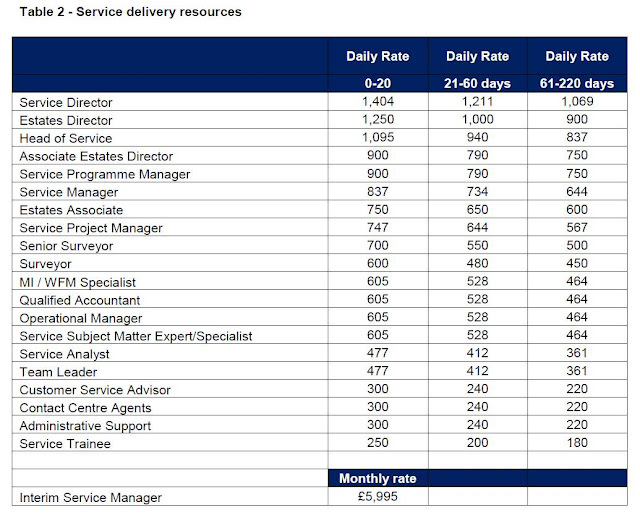 So imagine my surprise when I saw a gainshare claim for £250,000 for "HR Agency Transfer". When I queried this payment I was told that "this relates to work undertaken by HR to convert agency workers onto permanent contracts thereby helping to reduce agency spend and stabilise workforce, which led to a cost reduction of circa £800k per annum". So for the last four years Capita have claimed millions in gainshare on agency costs as more and more agency staff are used and then they get another £250,000 gainshare for helping to convert those agency staff to back to full time employees. I have no confidence that the £800,000 saving figure is real, but as is the way with all gainshare payments, Capita put in a claim of forecast savings and then carry out a "true up" at the end of the year when the actual savings are reconciled against the initial claim. To me this just seems plain wrong, especially as part of the switch from agency to full time staff has been driven by HMRC's clampdown on IR35 tax avoidance which has forced a large number of interim staff across the public sector to change their employment status. If you are a single person in a property you can apply for a single persons discount (SPD) of 25% on your council tax bill. Capita get a gainshare for reducing the number of people claiming this discount. What they can also claim is the costs of carrying out the work. In 2017/18 Capita submitted a gainshare bill for £174,117.77 for the SPD reduction. When I asked for the supporting evidence I was surprised. The gainshare is calculated based on the "total payments collected above the baseline". This was £315,000. However, the cost of carrying out the work to achieve that saving was £127,000 giving a net saving of £188,000 on which we paid 25% gainshare, equivalent to £47,000. Now bear in mind that Capita can charge their staff out at consultancy rates as set out here to carry out this work and on which they also make a very sizeable mark up. So from an increased council tax income of £315,000, Barnet actually gets to keep just £138,000. There are a number of gainshare claims which are all broadly similar. Capita ask what is the budget for a service.They then tender the service and where it come in below the budget, Capita take a gainshare on the difference. One example is for Family Systemic Training. Capita asked for Barnet's budget which Barnet said was £30,000. Capita tendered the training and picked the lowest price bid at a price of £11,400. Capita said fantastic we have saved you £18,600 so with a gainshare of 31% they billed and were paid a gainshare of £5,766. So for a service that cost £11,400 we ended up paying £17,166. In my world that is plain wrong. A similar situation arose when tendering a tree policy consultation. The council set a budget, there was a tender on the council's own etender portal, the bid came in much lower than the budget so Capita picked up 31% of the difference. 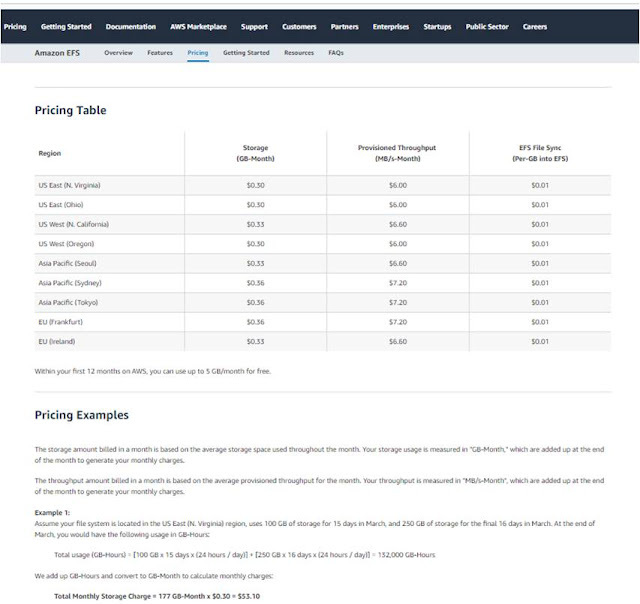 The third example of budget driven gainshare is on document storage. Previously archive boxes were stored at the archive section of the Mill Hill Depot which has now been flogged off for housing. Barnet House and NLBP are tight for space so Barnet needed to make use of an external storage provider. Capita, asked for Barnet's budget for storage and were told it was a round £500,000. Capita went to Stor-a-file who offered them a price forecast to be £359,296 over the next five years, including an initial free 6 month period. Capita said woohoo that's a saving of £140k or £28,200 a year so we are entitled to £11,280 of that each year. In addition, they claimed (I believe incorrectly) an additional gainshare on the 6 month free period. In total the gainshare fees over the next five years is £68,370 just because an officer set the budget too high. So instead of paying £359,296 which is the actual cost the supplier charges, we are paying £427,666. Maybe now you can understand why I compare this gainshare process to BBC Rogue Traders and why we must take back control of this money spinner from Capita. I have just finished carrying out my inspection of Barnet's accounts. In particular, I have reviewed every single one of Capita and Re's 256 invoices. Some are clear in representing what we agreed in the contract but others, especially the gainshare invoices, frankly make me shudder at how anyone could have signed them off. The way I described it to a friend is that it was a bit like an episode of BBC Rogue Traders - you know they haven't done anything illegal but you definitely feel your granny has been right royally ripped off. The reason why this is important right now is because next week Barnet are going to be deciding which services should be brought back in house and which should be left with Capita. Procurement and the gainshare payments arising are one of those services currently identified as being left with Capita. Over the next few days I will give you some examples of Capita invoice with which I have concerns. The first is an initiative to move people with Learning Difficulties (LD) or Mental Health (MH) issues from supported living or residential care homes to the private rented sector. Now clearly there is a drive to cut adult social care costs but these projects always give me some real concerns and I am aware that there have been some problems when this type of move has taken place. Set out below is the "Project Overview and Savings Methodology" provided by Capita. Four users were identified and moved into the private rented sector. I haven't seen any details as to how the individuals felt about this move and whether it met their needs but this is of course all about the money. Over 3 years the savings achieved are at £197,203. Some may say that is a positive move as costs have to be brought under control. So now here comes the rub. Capita said we have saved you £197,203 we are entitled to a gainshare of £67,138 (34%) and that is what Barnet have paid. This makes me very uncomfortable because it turns vulnerable people into a commodity on which a profit can be earned. This isn't about effective procurement, it is about cutting a service to make money. It also worries me that making inroads into the adult social care budget will be difficult if Capita are going to keep taking a massive slug of the savings on every initiative. Multi Agency Risk Assessment Conference (MARAC). Capita carried out tender exercise and compared the new prices to what Barnet previously paid. Much of the detail is redacted but critically Capita claimed a gainshare of £47,102.80. Last year the payment was disputed because it was thought that Domestic Violence was funded from grant money and Capita can't claim gainshare on grant money. However, this year it was agreed that Barnet had funded the service and as such were stuck with the bill for £47k. Again, what seems to be missing from the process is the issue of quality and user satisfaction with vulnerable people being a source of profit for Capita. 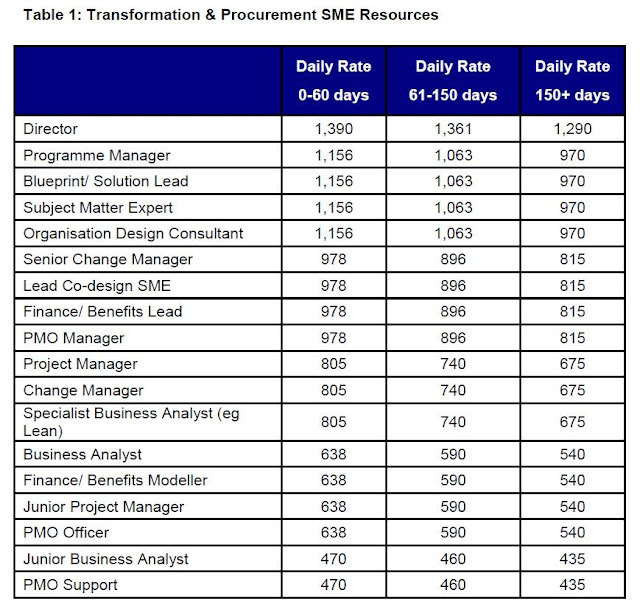 What I also struggle with is whether this is the type of work we are already paying for from a procurement service included in the core contract; my view is that it is, but apparently not. A third example today is on court costs. Capita receive a gainshare paid at 20% of court costs collected above a baseline. The baseline was set at £871,000 and last year the total court costs collected was £1,242,495. Capita therefore received a gainshare payment of (£1,242,495 less £871,000) x 20% = £74,299. The point I made is that by having a fixed sum as a baseline, as court cost rise over time or if there is a year when there is more legal action, Barnet will end up paying a fortune in gainshare, not because Capita have recovered a higher proportion of court costs but simply because the overall bill was higher. There will be more examples to come tomorrow. Capita have billed many millions in extra charges on the Barnet CSG contract. A significant chunk of those charges are for "Special Projects" charged at pre agreed day rates - in 2016-17 alone Special Projects cost £16.8 million as reported here. The contract stated quite clearly that these rates should be disclosed after three years but when I asked for them it came as no surprise that my request was refused. After going through the Information Commissioner's Office (ICO) and having to appeal their initial ruling they eventually upheld my appeal. Today was the deadline for Barnet to provide the information and last night it was sent to me. Set out below are the Day Rates as stated in the original contract signed in 2013 but rates may have risen since that time, especially as Capita have an indexation clause within the contract. I will leave you to judge whether you think these rates are reasonable and whether, for a number of roles, utilising a council employee might have been cheaper. It is interesting to note the day rates of the Legacy One Barnet Project Managers (Table 4) as they may be a reflection of the rates we were paying pre Capita and compare those to the day rates being charged by Capita. 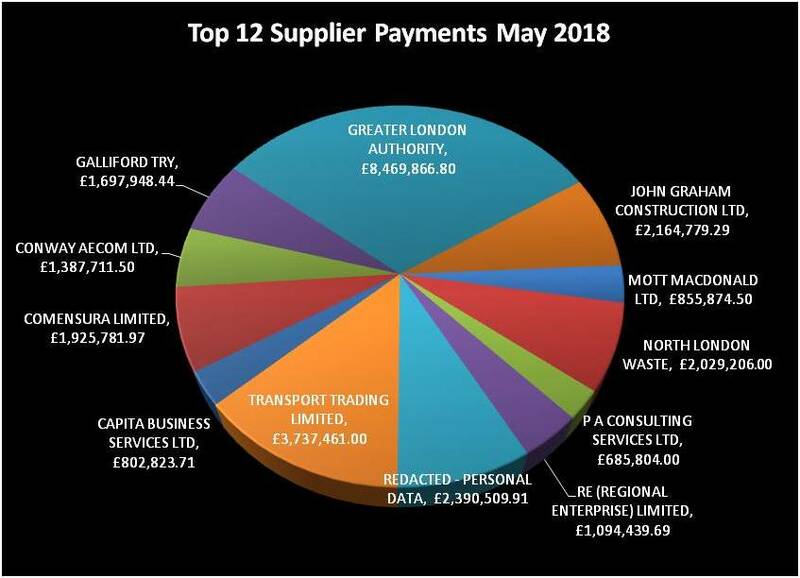 Just a short post today about Barnet's supplier payments for May. Not much in terms of payments for Capita and Re this month as they tend to be paid quarterly so just £802,823.71 for Capita and £1,094,439.69 for Re. Comensura spend is on the up, with a total of £1,925,781.97 for may alone. Although it is to early to be certain, based on the first two months of this year the forecast looks like it might get back to the 2016/17 level of £20 million. PA Consulting billed £685,804. The majority was for "IT & Comms". Given that I thought IT & Comms was the responsibility of Capita, it is surprising we have such a large bill from another consultancy. We paid £13,940 to Comer Business & Innovation Centre. It may not sound like much but it is for space at NLBP. This tell me there isn't enough space in Building 2 at NLBP which make me worry about what is going to happen when Barnet relocate to a much smaller building at Colindale. I would also point out that although we were supposed to have vacated Building 4 at NLBP we are still paying for Capita to rent some of that space. Surely we should have looked to see if there was any spare space in Building 4 which we are already paying for first? We paid Saracens £28,398 for "rent". I am guessing this relates to the use of their stadium for the election count but it does seem rather a lot of money to pay for one night's usage. Assurance spent £308.33 at Pinks florists; that's quite a lot of flowers. Coming up in the next week will be details of the year end audit and my findings from the inspection of the accounts. Keep reading and I will keep blogging. This sums up my feelings after last night's Financial Performance and Contracts Committee. I had asked 34 questions and fellow blogger Roger Tichborne had asked another three yet most of the answers were crafted to tell us nothing about what we had asked. Mrs Angry and Mr Mustard were also there to document the goings on but I think all four bloggers found the meeting entirely unsatisfactory. Residents need to be aware of what a financial mess Barnet Council are in but the use of words in the reports discussed last night would have created a different perspective. Overspends were "reduced" not by cutting the amount spent but by topping up from reserves. In total last year we used £21 million from reserves to balance the budget, something which clearly isn't sustainable. One of the serious problems occurred in the Capita run joint venture Re. Last year the external auditor identified a problem with £4.6 million of guaranteed income from Re that had not been paid. At that Audit meeting the S151 Officer who is the head of finance reassured everyone that the money would be recoverable. I had my doubts when the Capita partnership manager called the amount "disputed". I asked again about this money and whether it was going to be recovered at the performance and contract management committee on 27 February just 4 weeks before year end. The reply from the council then was “The benefit to the council of additional income under the RE contract is guaranteed and does not, therefore, impact on RE’s budget performance” Four weeks later at year end and following legal advice they decided that it wasn't recoverable and it was written off. I don't doubt that writing it off is the right thing to do but what makes me so cross is that for nine months the council was in denial that it was a problem. We were also told that another £2.6 million of contractual liability had to be paid to Re and that it been "omitted from the forecast in error" but corrected before year end. Well technically that may be true but it wasn't corrected 4 weeks before year end. This tells me two things. One: take everything Barnet says with a massive pinch of salt and Two: we have a contract with Re which seems unenforceable and is costing Barnet a fortune. Set out below shows the impact of these late amendments on the accounts. On gainshare, the nice little earner for Capita, we were promised back in January that this would be dealt with by this committee. Six months on and it is now being passed around a number of committees like a toxic pass the parcel. In my previous blog I gave one example of the sleight of hand which is the gainshare process. However the argument from Barnet Tories has always been that we may pay Capita for gainshare but we are saving money. I have always disputed this and last night I asked a question as to whether the savings were real. The wording of the response tells you everything you need to know about this process which assesses "contractually compliant savings". What that means is that who ever wrote the contract made it very easy for Capita to claim gainshare whether or not they provided any added value to the procurement process. I have a very serious example of where Capita have claimed a gainshare which I suspect most people will find morally wrong but because the contract allowed it Capita have claimed it and Barnet have paid it. On the rest of the CSG contract Capita are failing on a number of key performance indicators (KPIs) but it doesn't matter because it doesn't count as a contract fail. If I was Richard Cornelius I would be taking legal advice as to whether we had grounds to sue the lawyers who acted for Barnet when this contract was being drafted because it is so heavily weighted in Capita's favour. I did suggest back in 2013 that Barnet should get a third party lawyer to review the contracts but as always that was dismissed. It may be a decision Barnet are now regretting. I didn't get any feeling of urgency about dealing with the massive annual overspend. Set out below is the speech I gave, sadly falling on deaf ears. "Narrative too positive – needs to reflect true picture"
"Doesn’t highlight use of reserves. With this the £4 million overspend changes to an underlying variation of £8.5 million"
"CSG narrative not full picture been told the true picture is much higher overspend"
"Family services net variance wrong"
"Satisfaction with website artificially inflated especially planning"
"Figures don’t match those published by NHS digital"
"Problems with payments Council owed £2 million"
Not my words but those of the Strategic Commission Board on 6 February discussing papers coming to this committee. I asked Richard Cornelius if he was aware of these issues before the year end – he said no he wasn’t but that they should have been reported. You as a committee can only scrutinise what you are given and if you aren’t given a clear picture you can’t make the right decisions. I do not think you got a clear picture then and I am worried you aren’t getting a clear picture now. I’ve submitted 34 questions yet many of the answers show an organisation in denial, scared to be honest. We are in a financial mess and you all need to be honest as to how it is going to be addressed. Back in February I asked you a specific question about the Re guaranteed income and you said “The benefit to the council of additional income under the RE contract is guaranteed and does not, therefore, impact on RE’s budget performance. Performance against the guarantee will be reconciled and published as part of the annual accounts process”. Yet now we find that was wrong. In January former Audit Committee Chair Hugh Rayner said they were referring Gainshare to this committee. I asked about this in February and you said "Both referrals to PCM committee from Audit Committee (on benefits realisation and gainshare) will be formally noted at this PCM committee, and then scheduled into the forward plan. Now you are saying that it has been pushed to Policy and Resources and will be brought to the appropriate committee in due course". This smacks of pass the parcel. I have not one ounce of confidence in this committee and will not do so until you start answering straight questions with straight answers. Get a grip, stop spinning and start sorting out this mess. On Friday, Barnet made an admission, a big admission; an admission that Capita is not delivering for Barnet. For me that comes as no surprise. I have been concerned about the scale and complexity of this contract since 2011 when the first clear contractual details emerged. Sadly they are leaving a number of services with Capita that are either; under-performing; costing a fortune; or where Capita add little or no value. Set out below are a few examples of why they are mistaken in leaving these services with Capita. 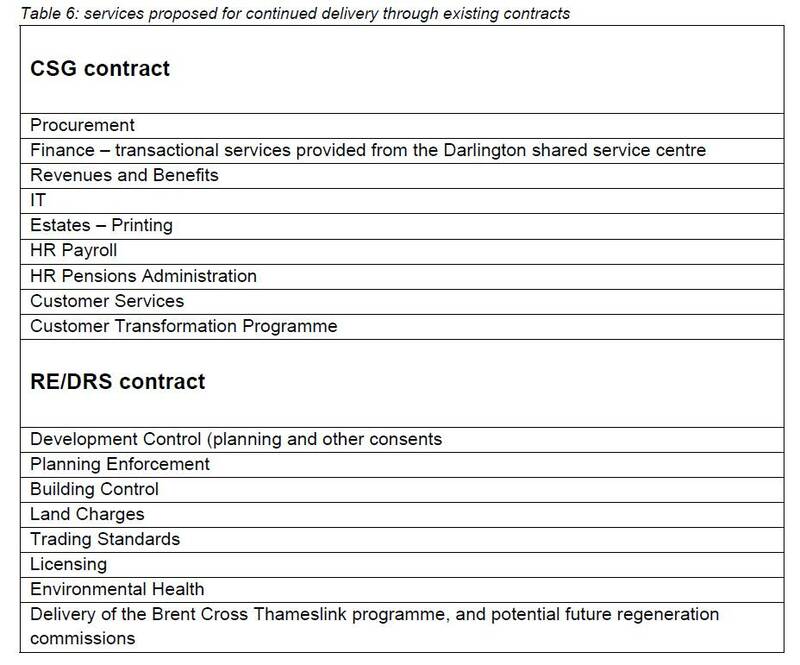 In terms of procurement, Barnet will have to pay Capita £14.3 million over the next 5 years in “Gainshare” where they get a share of any savings, yet most of the “savings” could have been secured through standard framework contracts available to all local authorities. In addition, some savings are calculated against a budget. Imaging walking into a shop to buy a new vacuum cleaner. The shop keeper says "what's your budget" and you say "£200". The shopkeeper offers you a vacuum cleaner priced at £100. "There you go", says the shopkeeper "that will be £133". But it only cost £100. "Ah yes", says the shopkeeper "but your budget was £200. I saved you £100 so I'm entitled to a third of the saving plus the cost of the cleaner". I know that sounds nonsensical but I have an almost identical example of this sharp practice from last year's Capita invoices but sadly the sums involved were significantly greater. "Potential Duplicate payments (high risk) – Control design"
"BACs Reconciliation (high risk) – Control operating effectiveness"
"Policies, Procedures and Process notes (medium risk) – Control design"
Barnet have been charged an additional £521,000 in the last two years for the “extra caseload” in Revenue & Benefits. That’s on top of the core fee we already pay. What you also need to recall was that back in 2012 the in-house Revs & Bens team were rated the second highest performing in London as rated by the DWP. This area has had on going problems and it has been recognised that the Capita Integra system has significant problems. Prior to Capita, the council had invested in SAP a sophisticated system that integrates many different functions within one system and is used by some of the very largest organisations - expensive but good. Last year we were charged an extra £189,823 for printing - that is on top of the core fee. There have been lost of errors with the payroll. In 2016/17 Capita had to repay £187,630 in service credits (a sort of fine) specifically for failings in payroll accuracy. There have been repeated problems with Pensions administration which culminated last year in Barnet being fined by the Pensions Regulator for the failings in pension administration. The Pensions Board have raised serious concerns about Pensions Administration. On customer service Capita charged Barnet £416,000 last year for “excess customer service volume”. Capita set a baseline figure in the contract and anything over that we get charged extra. There is currently a plan currently to try and get these volumes down by cutting Face to Face services and to create "savings opportunities from telephony service degradation". That is something I find shocking but it shows how the tightly drawn contract with Capita forces these bizarre actions to get the extra costs down. This is an area where so many residents are unhappy especially as Re not only assess planning applications but also generate income from planning advice. Enforcement has been very poor although that is now receiving close attention. When I attended the Re four year review almost every representation from members of the public were complaints about Planning or Planning enforcement. Licensing also creates potential conflicts of interest and I saw a case recently where licensing had earned a fee to advise a license applicant but Environmental Health, another part of Re were opposing the application. As for Environmental Health and Trading Standards my view is that these are well outside the core skills of Capita. Former Barnet employees brought the skills, they do a good job so why pay a fee to Capita for no real added value. 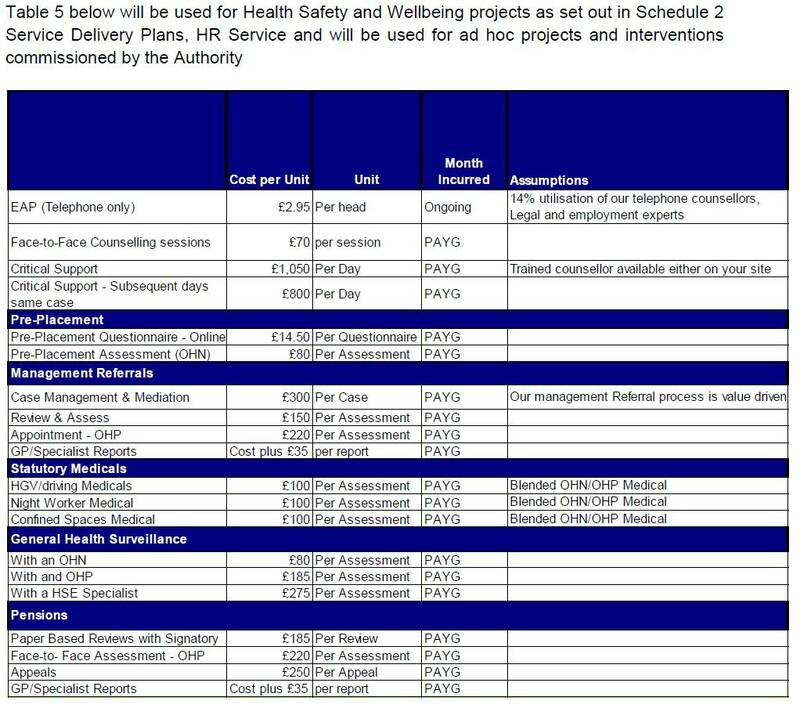 So given all that information I am at a loss why Barnet are content to leave all these services with Capita. Over the next few days I will set out why taking a much more strategic view as to how the services could be restructured would not only save money but could also deliver a better service for residents.